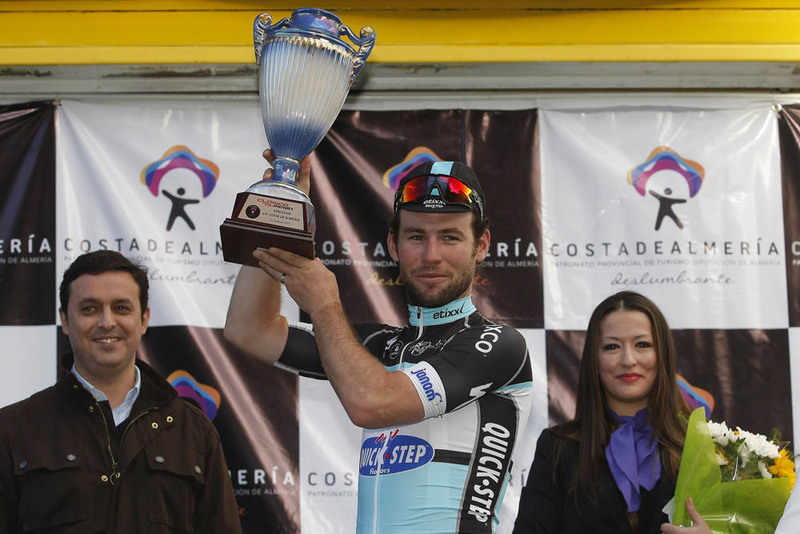 Mark Cavendish (Etixx-QuickStep) continued his winning start to the 2015 season by taking the bunch sprint at the end of the Clasica de Almeria on Sunday – his first European win of the year. Cavendish won the 183.3-kilometre UCI 1.1-ranked Spanish race ahead of Juan Jose Lobato (Movistar) and his own key lead-out man Mark Renshaw (Etixx-QuickStep). 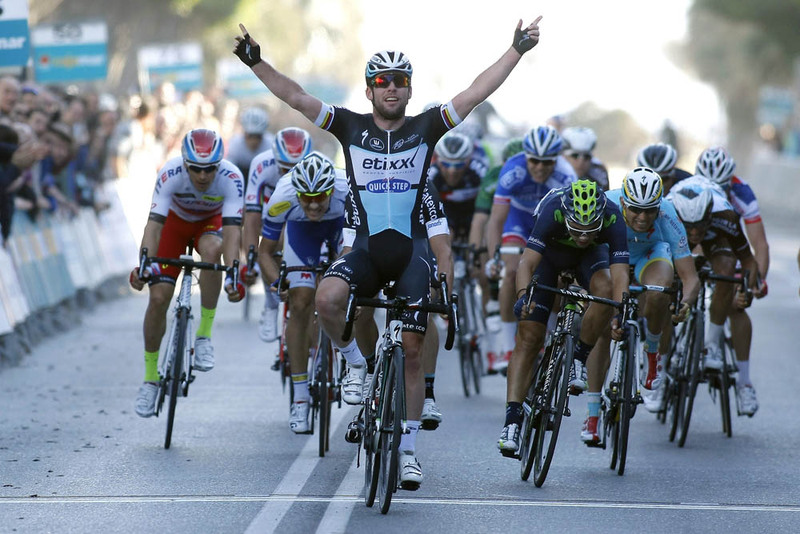 Cavendish had enough of a clear lead over the line to take the time to raise his hands in celebration. It’s the fifth victory for 29-year-old Manx sprinter, after a stage of the Tour de San Luis and two stages and the overall classification at the Dubai Tour. This latest victory signals Cavendish’s continued good form leading into the European race calendar, including his target of Milan-San Remo on March 22.